It focuses on graphic supplies and best sellers. FYI: An update coming soon! Find the Archival & Conservation Products you need. We are the Canadian supplier for University Products. Pricing on this site are US$ without shipping fees. Phone for a quote in Cdn$. At Lines 'n Curves we focus on two key markets: Graphic/Commercial Arts and Archival & Conservation. Our goal is to meet all your supply needs. To provide a more well rounded solution, we also carry a complete line of computer accessories and office supplies. And to keep the breakroom and restrooms at their best, we offer a complete line of cleaning products within the office supplies catalog. Mounting supplies Graphics Arts: Everything you need to mount your work. Using Chemicals? Try our labels meeting the new standards. Repositionable and permanent adhesive refills for the Xyron dry mounting system are available in 12" and 25" widths. Allows you to easily and professionally apply adhesive to almost any substrate. Xyron machines and replacement rolls available: Adhesive, Laminates, and laminate/adhesive combination rolls. Get more details on the Xyron drymount system. With an extensive line of paper, Epson can match the right paper to the application. Ink Cartridges made by the manufacturer of your printer. Pricing details are in the catalog. Need large print rolls for your Epson? 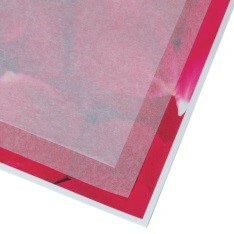 Try our Instant Dry Photo Paper. This high quality photo paper is ideal for large print jobs coming in 24", 36" and 42" rolls. Available in in Matte, Lustre, and Gloss finishes. Mat boards Quality mat boards at a great price. Smooth matte finish on front with a white core and backing. Easy to cut. Works well with adhesive transfer tapes as well as many other tapes, glues and adhesives. Available in over 100 colours so ask us for samples to find the right colour for you; Most use Black or White 32"x40" at $8.25/sht, 25 sheets/case. Card Stock - Coated 1 or 2 Sides Sold in cases of 25 sheets sized at 23� x 35�; 10 pt is popular but available from 8 pt. to 24 pt. We can cut sheets to any size needed - request a quote. Pricing: Carolina 23� x 35� C1S, 10 Pt. 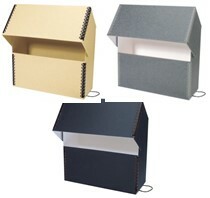 Card Stock costs $1.30/sht, 25 sheets/case. 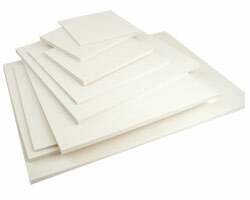 The 32"x40" 3/16" thick boards come many colours but black (with black core) and white are the most popular. Also available are various thicknesses (1/8", 1/2") and larger sheets (40"x60", 48"x96") are available. All contents � 2018, Lines 'n Curves, all rights reserved.